I was a country kid who could not wait to escape to the big smoke once I’d finished school. In my late 30s I boomeranged back, hankering for greenery and desperately needing sanctuary from the constant hustle and bustle of Melbourne. 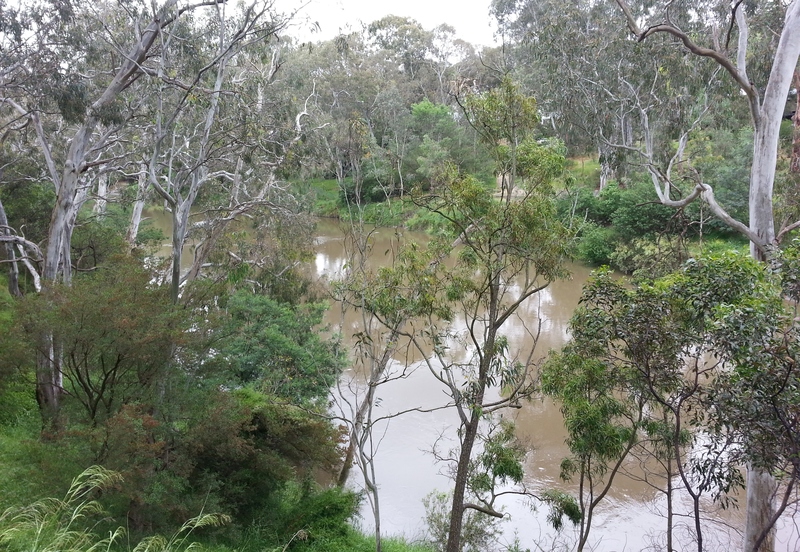 A walk along the Yarra Bend Trail last Friday was a reminder that there are tranquil spots to explore and rejuvenate your rambling spirit, smack bang in inner city Melbourne. I was familiar with the concrete path along the pretty Yarra Trail, as I’d ridden the Silver Bullet from the old flat in Coburg to the city a few times before. Taking that route I’d always connected via Merri Creek, which cuts in further west along the snaking Yarra. 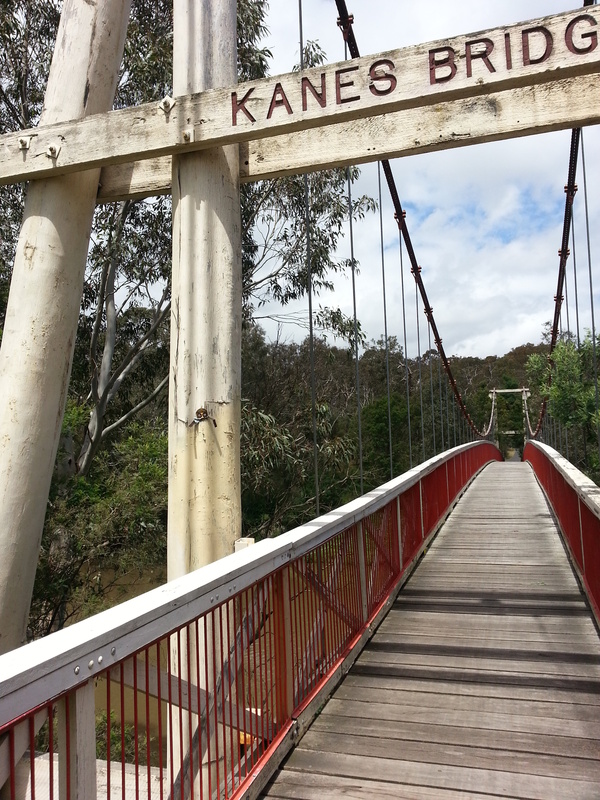 So I had missed this gem of a trail we clambered along last Friday, entering beside the Chandler Highway and Yarra Boulevard. 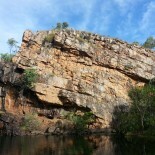 There was some erosion and rough spots, so sturdy shoes and step watching was necessary at times. But it was a pretty easy trail to wander along. Occasionally we could hear the distant hum of traffic carrying from the roads above us. 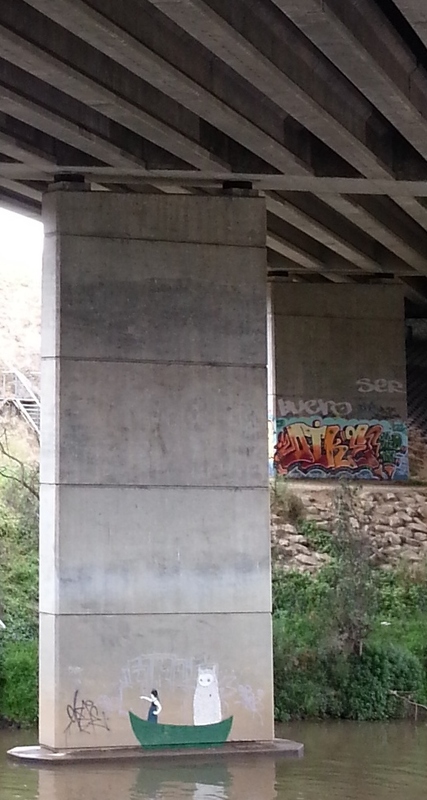 Graffiti under a major bridge gave us an inkling that we were in an urban environment. But we were undoubtedly removed from the urban jungle. In fact, for the first leg of our 13km walk we hardly encountered other people, apart from golfers having a crack on the other side of the bank. What we did stumble across was the flying fox colony that had been relocated here from the Botanic Gardens about ten years ago. Talk about the politics of branch stacking! We stood transfixed watching the truants fly in late and the recalcitrant teenagers chatter and annoy each other on their slumber party tree limbs, while the majority enveloped themselves to settle in for a good day’s sleep. From afar the trees looked like they were decorated for Christmas with bat baubles dangling from their branches. At first we thought it was just a few trees. But with each corner we turned we realised the colony just kept going. It must have stretched for well over a kilometre. There were signs indicating efforts to nudge or bunch the sprawling colony closer together. Not sure whether the coordinators are using sonar or physically cajoling the creatures. Shortly after this I was cajoling my blood sugar upwards with apple juice from a café at the Studley Park boathouse. It was revoltingly sweet but I needed to replenish my stocks for the homeward journey. It was great to get back to doing a proper walk after the house moving disruption. In the next week or two I’ll be entering a research and procurement phase. It’s time to get hiking gear, to move beyond day trips and check out more of Victoria. Bat baubles! What an amazing sight! It was like a weird amalgam of Halloween ghoulish and Xmas festive! 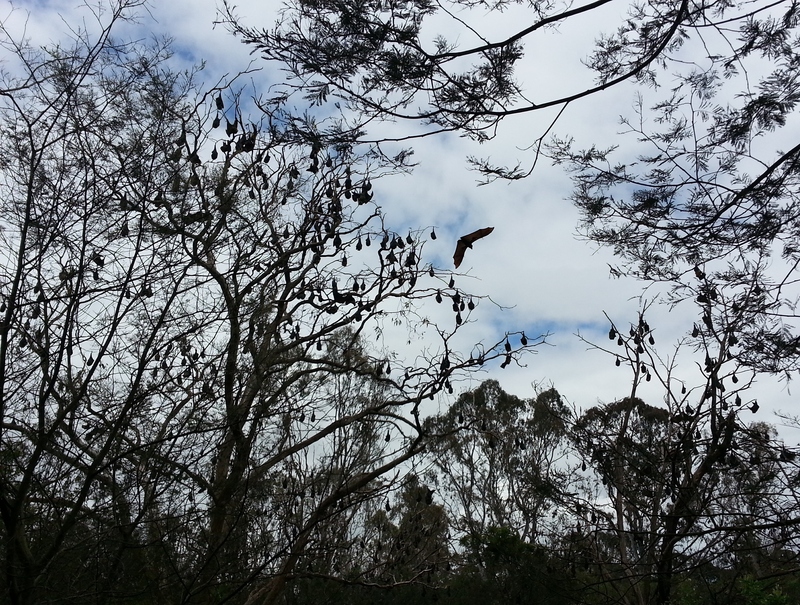 This entry was posted on 19/11/2013 by njd1insulin in Uncategorized and tagged bats, blood sugar, bush, city, flying fox, green, hike, Studley Park Boathouse, trail, Urban, walk, Yarra Bend Trail, Yarra River.